On Sept. 20, 2103, the Canadian Food Inspection Agency (CFIA) confirmed the presence of Asian long-horned beetle (ALHB) in an industrial area near Pearson International Airport in Mississauga. The CFIA is working with other federal departments and provincial and municipal governments to survey the area and determine next steps. The ALHB can attack several common species of hardwood trees, such as maple. It eventually kills infested trees. It can fly short distances but can also spread through the movement of infested wood. Signs of infestation may include perfectly round exit holes (about 3/8 to 1/2 in. diameter) made by adult beetles when they emerge from trees; pockmarks on tree trunks and branches where female beetles deposit eggs; frass produced by larval feeding and tunneling; early fall colouration of leaves or dead branches, and running sap produced by the tree at the egg laying sites, or in response to larval tunneling. Between 2003 and 2007, ALHB was known to exist in the cities of Toronto and Vaughan. A quarantine area was established and control efforts were undertaken. Based on international standards, the pest was considered eradicated from this area in 2013 after not being detected for five years. Massiv Die-Form, Brampton - Massiv Die-Form designs and builds dies and equipment to support the global automotive manufacturing market, and has been involved in apprenticeship for over 25 years. The company has conducted outreach to local high schools, formed relationships with several colleges, offered co-op placements, hired summer students and most recently has participated in the Ontario Youth Apprenticeship Program. “We’re expecting at a serious shortage of machinists and tool and die makers in the future, and it’s good to know where to look when we need to hire,” said Lori Dunnet, Human Resources Generalist for Massiv Die-Form in Brampton. 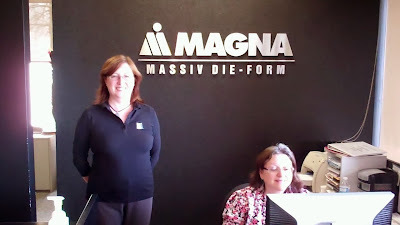 Massiv Die-Form is part of Cosma International, a wholly-owned operating unit of Magna International. The company designs and builds dies and equipment to support the global automotive manufacturing market, and employs 300 people at its Brampton location. - Have you ever thought about becoming an Apprentice? - Are you an Employer that is eligible to train an Apprentice? - Check out apprenticesearch.com for Resources on the Skilled Trades. In celebration of National Trades and Technology Week (November 4-10, 2013), The Centre for Skills and Development is hosting a Skilled Trades Open House on Thurs, Nov 7 5:30–8 pm. Drop by 860 Harrington Court in Burlington to tour the construction, electrical and machine shops where pre-apprenticeship students spend the majority of their time learning through hands-on training. Meet the instructors, learn about the programs and enter a raffle to win prizes from Work Authority of Burlington and RONA.